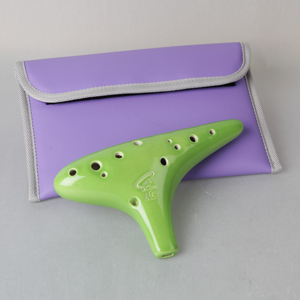 This is Focalink's single-chambered ocarina in the key of Alto C/ model C for promotional purpose in schools. Its range is from A to high F for a total of 13 notes. All instruments are finely tuned for clarity and pitch. And we apply a beautiful lime green color glaze on it.